Director, (Victory Travel Pte Ltd) :Singapore citizen. Honours and Master Degree (Statistics) from Dhaka University. 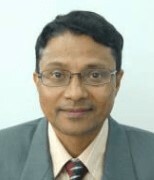 Life Member and Asst Secretary Advisory Committee of Singapore Bangladesh Society.